These contact plates require no swabbing or evening. Simply remove the lid, press the raised medium against the surface being tested, replace the lid and allow to incubate. 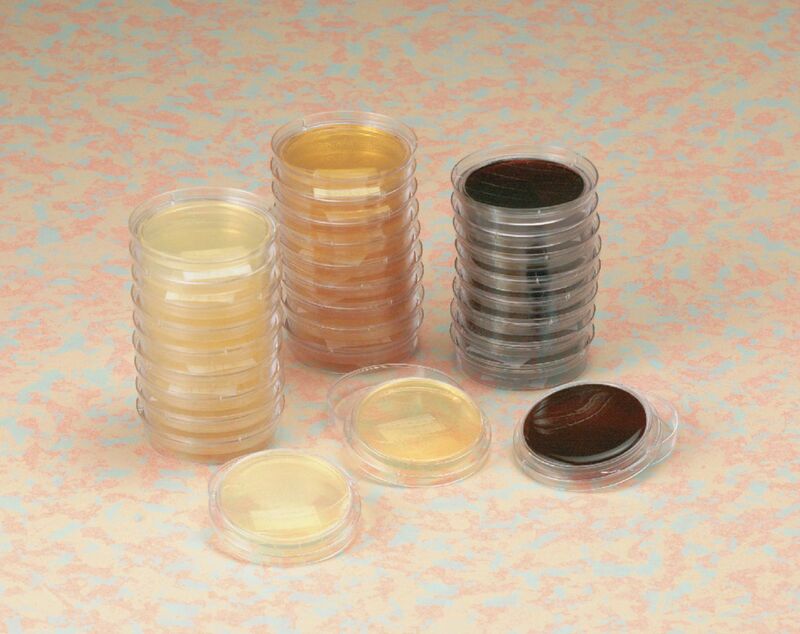 Lecithin and polysorbate 80 are added to the Total Bacterial and Yeast/Mold recovery plates to neutralize residual compounds that may be present on the material being sampled. The number of colonies can be counted using the 10mm grid pattern on the bottom of the plates. 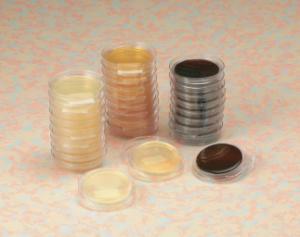 These plates are ideal for measuring surface contamination and to test the effectiveness of cleaning procedures. All need to be refrigerated. Plates are shipped 2-day air. A ship date is required. Please allow 4 days to receive shipment.